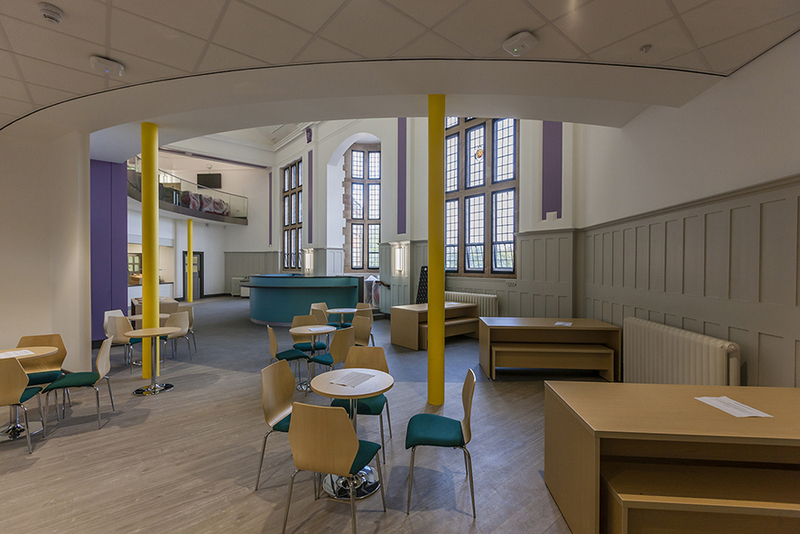 Frank Shaw Associates, in conjunction with Henry Boot Construction and The University of Derby, has recently completed the transformational refurbishment of the striking grade II listed St Helena building in Chesterfield. 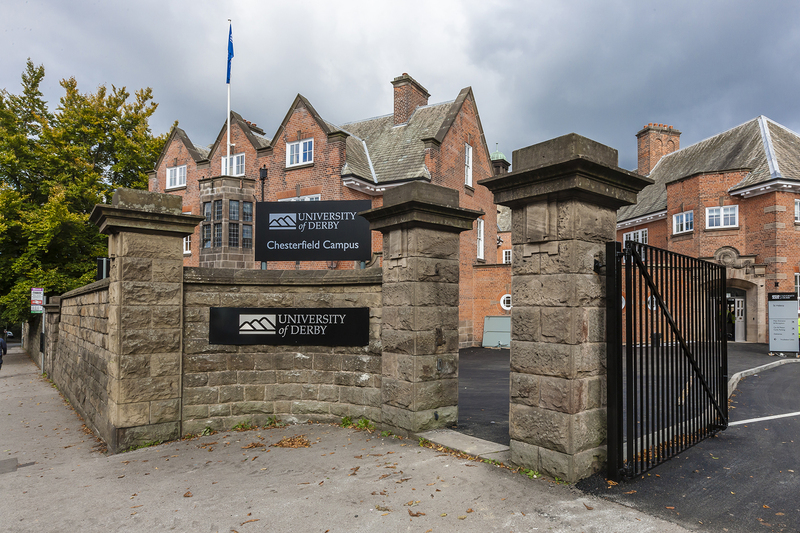 Originally opened in 1911 by the ninth Duke of Devonshire; the school was formerly known as Chesterfield Girls’ High School. The building was originally designed by George Widdows; Chief Architect for Derbyshire County Council & now considered a pioneer of school design. 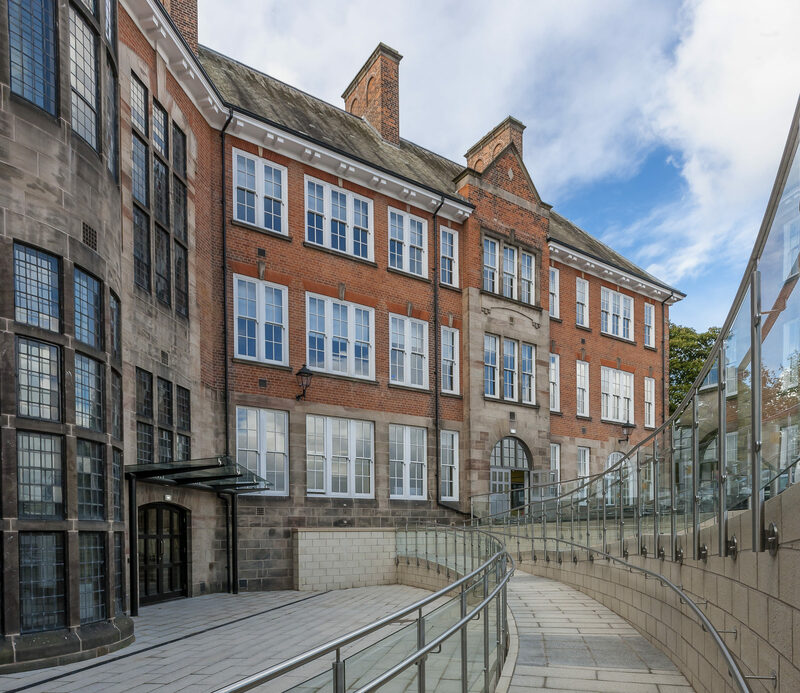 The University of Derby acquired the building to become a state-of-the-art facility hosting adult nursing and social care courses along with engineering and computing classes. The nursing courses will include mock wards with robotic or ‘sim’ patients which will simulate human responses to treatments. It will also include offices to be used as business incubator units for the town’s entrepreneurs. 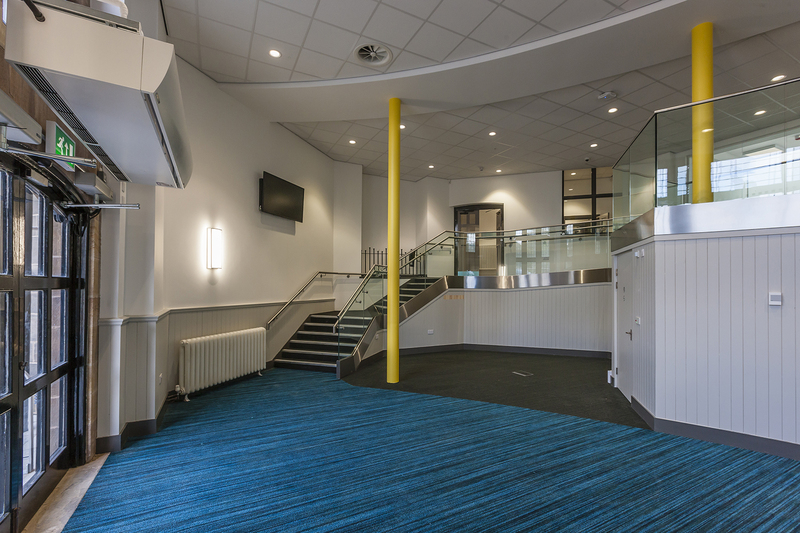 The general refurbishment consisted of the updating, and concealing, of all building services, the craft-led making good of the fabric and finishes, and adjustments to the fabric to improve accessibility within the building. 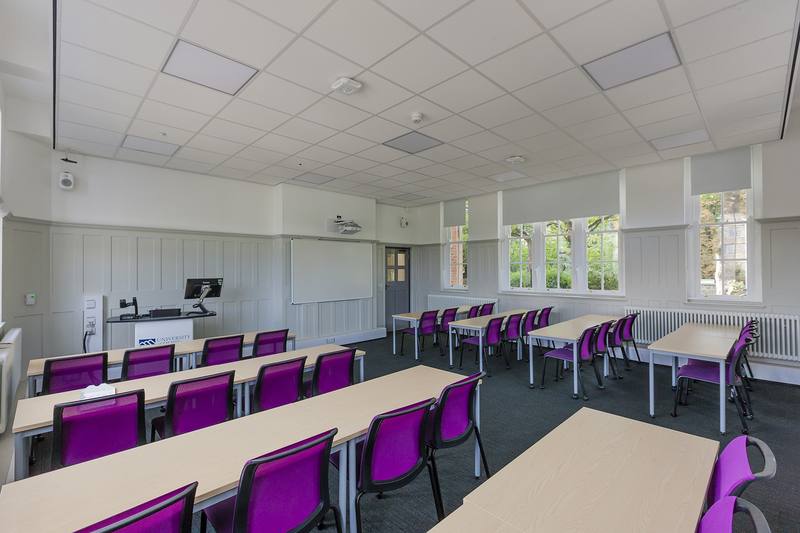 The building enhancements to the key areas are very contemporary in design but are carried out sensitively to the existing building. 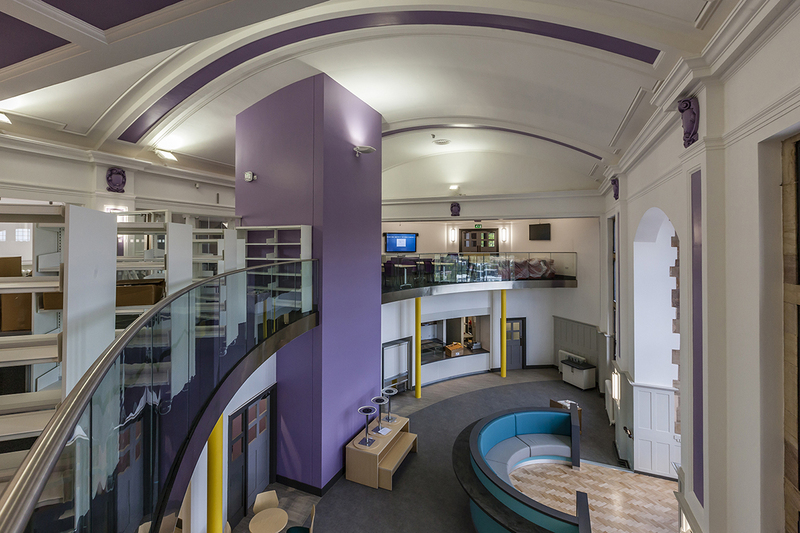 This has resulted in a building which had been un-loved and declining for a number of years, being revitalised and brought back into a dynamic educational use. The contractor, Henry Boot Construction, along with the team for the St Helena Campus project has won Team of the Year Award at the Efficiency East Midlands – Building Community Awards 2017.